151 homes have been empty for more than a decade across Bedfordshire, council bosses have admitted. 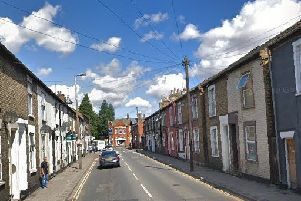 The figure, which covers Bedford Borough, Central Bedfordshire and Luton, show that all three authorities have a large number of long-term empty homes. These include 87 homes in Bedford which have been unoccupied for more than a decade, 45 in central Bedfordshire, and 29 in Luton. Central Beds councillor Susan Goodchild told the Times & Citizen this showed the need for more resources from central government. She said: “If local authorities are given backing from the government then that’s a really effective way of freeing up unused homes. The figures were uncovered by a Freedom of Information request by the Liberal Democrat party. In Bedford Borough 161 homes have been empty for more than two years, while 95 have been empty for more than five years. And in Central Beds 94 homes have been empty for two years or longer, and 88 for five years-plus. Nationally the figures show that 216,000 homes have been empty for six months or more, including 60,000 which have been empty for two years or more, and over 11,000 have stood empty for at least 10 years. Liberal Democrat leader Vince Cable said: “At a time when the homelessness crisis is worsening and more and more people are sleeping out in the cold on our streets, it is a national scandal that thousands of homes across the country are sitting empty.